Amazon's Fab Phones fest sale will be concluding today midnight that offers exciting deals and offers on smartphones and accessories. The 3-day sale was kicked off on April 11 which brought bundled offers, big discounts and much more. OnePlus 6T listed with first ever discount of Rs 3000 was main highlight of this sale. 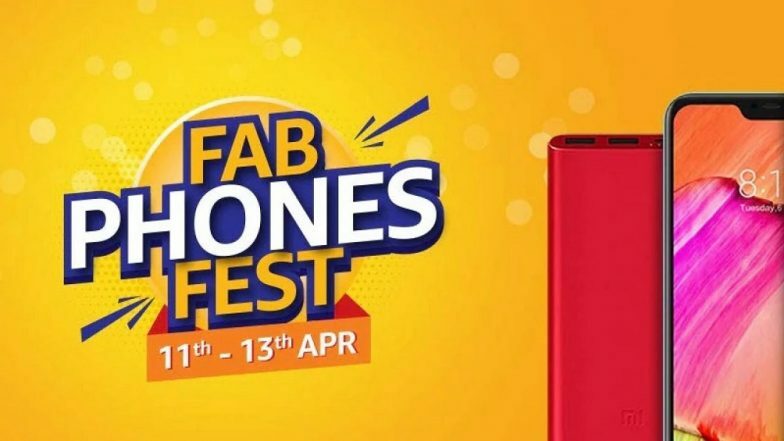 This is the second time Amazon has organised Fab Phones Fest sale in India during this year. OnePlus 6T Price Comes Down To Rs 33,499 During Amazon Fab Phones Fest Sale; Get Discount of Rs 4500 Before Its Gone. The customers looking for discount on OnePlus 6T all this while, here is an opportunity for them. Though it is the last day of the sale, OnePlus 6T can be purchased at a starting price of Rs 34,999 during the sale. The entry level variant with 6GB of RAM & 128GB of storage is listed with a discount of Rs 3000 from Rs 37,999. The mid-variant with 8GB RAM &128GB storage is priced at a discounted price of Rs 37,999. On the other hand, the variant with 8GB RAM and 256GB storage costs Rs 41,999. The customers can also avail the bundled and exchange offers while purchasing the smartphone. On the other hand, Apple’s most affordable 2018 iPhone is back with a discounted price during Amazon sale. Listed at a price point of Rs 59,900, the 64GB variant is also offered at a same price through Apple's authorized retail stores. But, they won’t be offering attractive HDFC Bank cashback offer. As a part of the sale, the e-tailer is also providing excellent deals and discounts on Honor View 20, Xiaomi Mi A2, Oppo F11 Pro, Samsung Galaxy S9, Honor Play, Vivo V15 Pro and more.